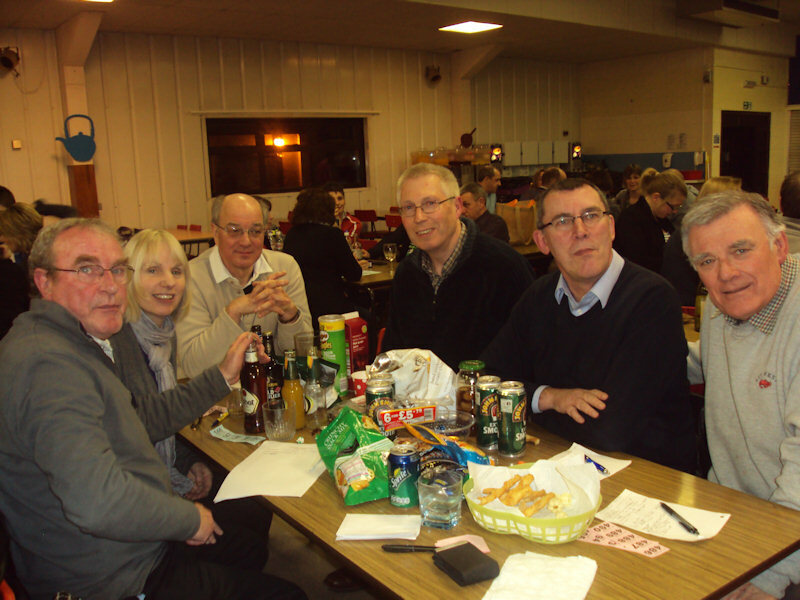 In March the 'sixtes bunch' (with a few from just either side of their era) entered a team in the Wymondham College PSA Quiz night. On the evening, whilst getting ready to compete, team captain Alan Bridges fell and hit his head and was unable to compete. As a result we named our team 'One under the eight' as our team consisted of seven only! 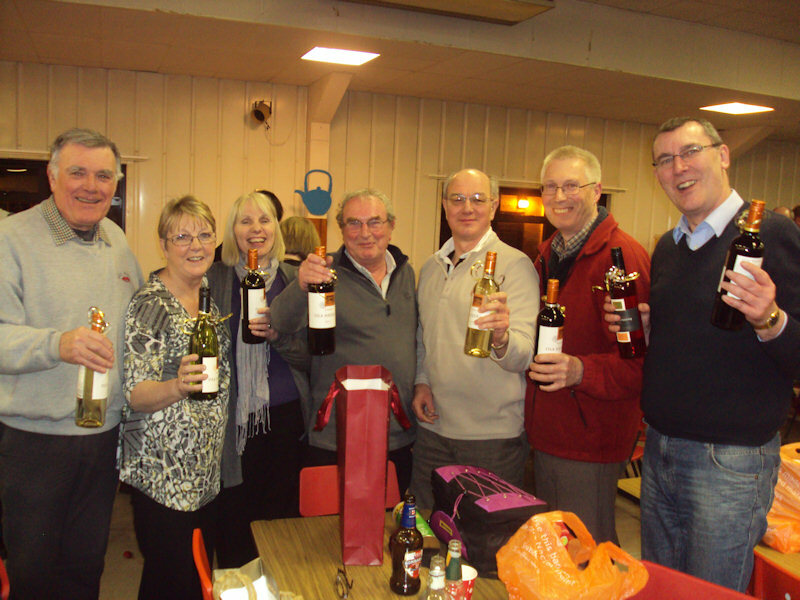 David Spinks, Marion Reed, Eileen Wyatt, Graham Smith, Phil Robinson, Steve Human and Steve Read (lineup as in victory photo - holding prize of bottes of wine). We were about 8th before the final two rounds but played our joker on the penultimate TV/Film/Theatre round and got 7 out of 8 and then had a good “Pot Luck” last round. Our total score was 59 ½ - joint second was 56. We know we could have done even better as we “talked ourselves out” of quite a few of the correct answers! So we will definitely need a full team to turn up next year to defend the title! To say that the victory was a shock would be an understatement.